So, I have been thinking about long tail keywords a lot lately. Actually, I think about long tail keywords quite a bit all the time…but I've been reflecting on my own websites a bit more lately. Today, I want to dive into several examples of websites that are doing really well by targeting long tail keywords and share why this is still working so well. I actually started thinking a bit more about long tail keywords a few month ago after I conducted a survey right here. I asked people, “What is your biggest obstacle to starting an online business?” Their number one response was that they had trouble finding the right keywords or niche to target. As a result, I actually spent the last few months in my “man cave” creating a keyword research course. Some of the examples below are one's that I shared in the webinar last week. However, I wanted to go in more depth on a couple of them, including an update on the Authority Site Project website. With that, let's jump in and discuss some real life examples demonstrating the power of long tail keywords. Before I jump into the 6 examples, I want to remind you what a long tail keyword is. I've done a couple of blog posts in the past that will help get you up to speed right here and here. So, long tail keywords doesn't simply mean long phrases; it really is referring to the tail of the graph. However, it just so happens that most low volume and low competition keywords are longer phrases, so if it helps you to think about long tail keywords as long phrases, you will still be right most of the time. Now, I'd like to demonstrate why these low search volume and low competition keywords add up to big results. This first website that I'm going to share is a niche website that I own that simply gets consistent traffic day in and day out. As you can see from the screenshot below, the site consistently gets around 2000 to 2500 unique visitors a day. The HUGE majority of the traffic coming to this site is through natural search engine traffic and long tail keywords. I can tell you that this site has very few links and not a ton of authority. However, because the content of the site targets lots of different very long tail keyword phrases, the traffic really adds up. In other words, if you are targeting REALLY low competition keywords (even if they don't get searched for very much each month), you can rank near the top of Google without much effort. The next site I want to share is one I started with the intention of growing into a large authority site. I wrote lots of the content myself (not the case for most of my sites). My strategy for the site was simple: find lots of long tail keywords that were easy to rank for and then produce great content related to these topics. This site actually started to gain traction after only a few short months. However, with lots of projects I got sidetracked and never built it to be a big as I wanted. In addition, I never once went out and did any link building. However, that is not to say that this site doesn't have any links. Because of the quality content and the fact that I'm targeting such laser focused subjects that people are searching for, the site has gotten quite a few genuine links. I haven't done ANYTHING with this site in almost a year. As you can see, this site gets anywhere from about 500 to 900 unique visitors per day. So, where does this traffic come from? Again, the reason for this traffic is simple: I targeted long tail keywords and wrote great content based on those keywords. I didn't do anything else; no link building or promotion. The types of keywords that this site is ranking for are often 5 word phrases or longer and have a keyword competitiveness (a metric from Long Tail Pro) in the low 20's. Well, I'm here to tell you it IS worth it. My highest traffic article on this niche site is an article that targets a keyword that only gets searched for 70 times per month!! In fact, this one article on my website got just over 6,000 unique visitors from Google over the past 30 days! (It's been getting similar traffic each month for over a year now). So, how does a keyword that only gets searched for 70 times per month bring in so much organic traffic? First, not all keyword data is 100% accurate. According to Webmaster Tools, I actually got about 200 impressions for this keyword…so the search volume is really closer to 200 rather than 70. Secondly, and the bigger reason, is that long tail keywords often have TONS of variations. In other words, I'm ranking for lots of very similar phrases that might only be 1 or 2 words different. Because people might type in very closely worded phrases in hundreds of different ways, the search volume for each of these phrases is very low. However, in aggregate there are TONS of long tail phrases that this one article is ranking for to make it get 6,000 unique visitors in a month. 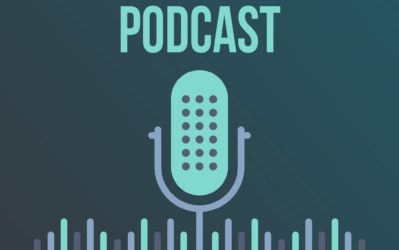 If you have been tuning in to our podcast and picking up a few mentions I've made on the blog here, you will know that Perrin started a brand new website near the beginning of this year. After the PBN penalty that Perrin got on aPennyShaved.com (the Niche Site Project 2 site), he wanted to give website building another shot. So, in his spare time, Perrin took the long tail keyword principles that I've taught all throughout the Niche Site Projects and started a fresh site. Well, all his efforts are really starting to pay off! I'm happy to share that Perrin's site will clear over $2,000 this month in earnings and there is plenty of room for growth. Please note that this screenshot is showing only the organic traffic coming to his site. The growth has been very strong since May or so. The reason for all the growth? Perrin has been targeting long tail keywords with really low competition; both product based keywords and informational type keywords. In addition, he's done some basic outreach to garner some great links to his site. This one-two punch of great content based on long tail keywords and links through outreach has proven to be a winning strategy. I'm just excited to share what Perrin (my “student”!) has done and the success that he is seeing with his site. In case you missed my post a while ago, Jake is one of my employees for Long Tail Pro. He is the brand manager to help with content marketing and recruiting affiliates and more. He's doing an AMAZING job and we've seen tremendous growth in the Long Tail Pro business (as I'll share more below). A lot of that growth can be attributed to Jake. Whenever Jake's awesome boss allows it, he works on one of his own niche sites on the side. We like to swap success stories for all our sites, and I was really impressed with the growth I've seen from Jake's site this year! The orange line is organic traffic. Long tail keywords are clearly powering the growth of this website. I'm actually quite optimistic for Jake and his site because I see lots of growth potential in the niche…lots of money to be made there. Well, I finally have an update on the Authority Site Project! I was contacted by a potential buyer just a couple weeks ago, and we were able to strike up a deal. I will cover all the details in a future blog post, and even reveal who the buyer is. But for now, here's what you need to know. The site has been earning an average of $1,156 per month over the past few months. Based on our agreement, we valued the site at $28,900. However, the new buyers wanted to keep me on the project, so they bought 66% of the site for $19,076. I will retain 34% ownership of the site and will of course be happy to take the cash :). Again, I'll go into a lot more details once the entire deal is finalized. But you will be happy to know that you can expect MANY more updates on the Authority Site Project in the near future. Because I will retain an ownership stake in the site, I'll continue to provide updates as the new owners take an active role in growing it. I'm excited to share with you what's coming. This is showing the traffic by week. So, I'll admit the traffic to the site itself is not that impressive. It's getting perhaps a couple hundred visitors a day; and of course that traffic is coming through long tail keywords. However, this project is a bit different in that lots of the revenue is coming from Kindle books (see previous earnings report here). Some of the same long tail keyword principles apply to the Amazon Kindle store. We are selling quite a few books on a consistent basis, I believe, because our books are ranking for lots of long tail searches and topics. The buyers of the Authority Site Project site feel the same way. They see TONS of potential with the site itself. However, they also see lots of potential with the assets we've already created on the Amazon Kindle store. These “long tail” type of books are meeting a real need, and there is no reason not to continue growing that part of the business. Again, this is just a quick highlight…I'll be sharing LOTS more details in the very near future. 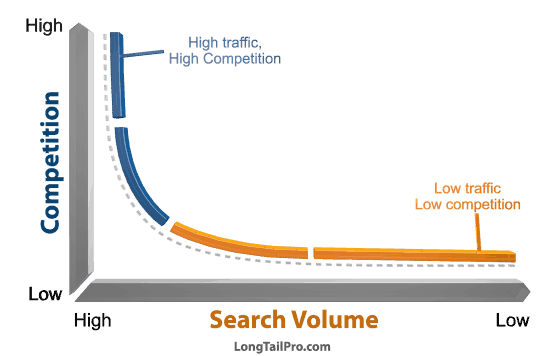 I would be remiss if I didn't share the success that LongTailPro.com is seeing believe it or not…through Long Tail keywords! Yes, perhaps that is a bit meta. However, content marketing and long tail keywords work so well, I would be an idiot not to apply them to my own software business. Here's the deal, about a year ago, I simply had no time to blog actively both here on NichePursuits.com and on LongTailPro.com. For this reason and a few others, I hired Jake full-time to write blog posts, do outreach, recruit affiliates, and help with the overall marketing of Long Tail Pro. I can now take a step back and look at the results that Jake has produced in the past 10 months on the Long Tail Pro Blog. (By the way, if you guys aren't reading the Long Tail Pro Blog you seriously should be…the content is as good as the content here). I know that by looking at this graph it may not seem that impressive at first glance. However, the organic traffic from back in January and February was only around 2,200 to 2,300 unique visitors per week. 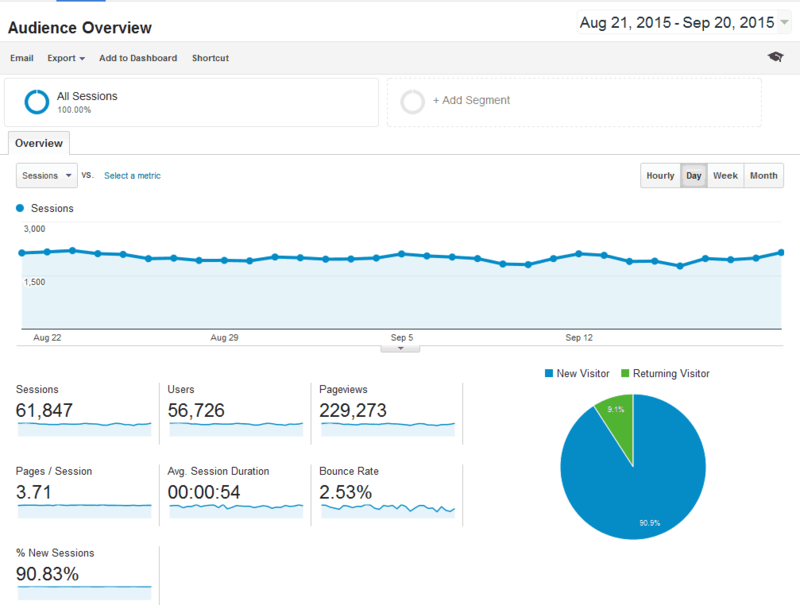 The organic traffic in the past couple of months is now around 3,500 to 4,000 a week. That's nearly double! I also want to point out 2 quick things. First, most of the traffic to LongTailPro.com is not organic…most is referral traffic and other sources. Secondly, traffic coming to a product based website is MUCH more valuable than traffic coming to an affiliate based website. In other words, each additional visitor to Long Tail Pro is worth a lot. So, the fact that the organic traffic to Long Tail Pro has almost doubled in the past year is a significant accomplish for the business. So, how did we get all this new traffic? Well, very simply: Jake has been finding long tail keywords to target for content, and then writing great blog posts based on those long tail keywords. You can see the examples of his blog posts right here on our blog. We've done several other things to improve the bottom line of Long Tail Pro (special offers, new upgrade options, and more); however, we are definitely seeing more natural traffic to the site. Overall, I wanted to share just a few examples from businesses that I'm involved with that are taking advantage of the power of long tail keywords. 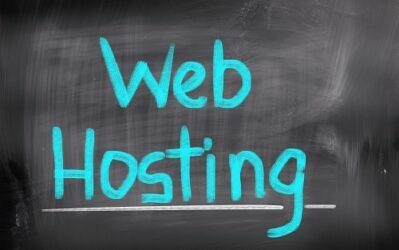 There are thousands of other amazing websites employing similar strategies. This blog post may just serve as a reminder for many of you about the importance of keyword research and great content; or perhaps it can simply provide some motivation that you are looking for in your own business. Even if you don't want any additional training, I hope you've found some value in what I've shared today. As always, I would love to hear your thoughts on the subject. Do you have any examples that you can share? Are any of your websites performing really well in the search engines from long tail keywords? Leave a comment or two below and let's discuss! I’m Hiring for Long Tail Pro! Yes, there is a very good chance. I’ll be discussing with the new owners when that might happen. Now this is something massive! Don’t know why but I think new buyer of authority site is Chris Lee from rankxl . . . . I get inspired every time I read one of your posts! Any chance you could give an indication of how many articles each site has to get that level of organic traffic? Hi Stew – I can answer that for my site (#4 in Spencer’s list). We have about 50 posts on our site, but about 40 of those have been published since June 1st of this year – so we’ve really been pumping out more content recently to keep the momentum going. Most of the sites mentioned have anywhere from about 30 to 100 articles. Secondly, I noticed a dive in your traffic around the end of August. What happened there? Even targeting 70 searches per month keyword is something interesting and eye opener when someone really meant it. Oh I didnt know that long tail keywords have such low search volumes. I was doing it wrong before this post as I have set the search volume to a minimum of 1000. So thank you after reading this post I will fix a wrong concept and action. Yep, for a primary keyword, you would target something over 1000 searches per month; but for regular content on your site, the volume can be much lower. Spenser, thanks for the detailed post. I always get inspired by the post like this one. I attended your last webinar, it was so cool! You did a great job presenting! Thanks for attending the webinar Nadya…glad you enjoyed it! My One-month-old blog is getting about 1K pageviews daily.. all from Google and Bing (a bit of it). But, the question is how you are making $300+? when I could only manage to make about 100$ or so. Any tip would be appreciated. I use Adsense only. The market will determine your earnings to a great extent. $100/mth may be as much as you can earn in your niche with current traffic levels…whereas other niches could be much more. Just like Spencer said, the market is one thing. It could also involve other factors as well. Like what’s the intent of the visitors from the keywords you chose (maybe they just want some free info and don’t really want to buy). Maybe the way you wrote and how you presented the articles have very little effect in terms of conversions. How about the level of commissions? Maybe you just need to double or triple your traffic just to reach your desired income level. Maybe a little tweak on your site would make a significant improvement on your income. But if you’re earning $100/month with your site, there’s no reason why you cannot earn more. The other problem with Webmaster Tools (now search console) is that it also includes impressions for your images that are visible in the SERPS. I just want to take the time to say, thank you! I genuinely think this site has changed my life! I’ve changed a few things on my personal blog based on everything I’ve learnt as a kind of practice before diving in and setting up a niche site for myself but I have to say this site is amazing, thank you so much for taking the time to share your sucsess. Wow…thanks Cora! So cool to hear that I’ve impacted your life…good luck! Spencers methods realy work, i’ve been trying almost everything he publishes about for over 2 years now . His projects take me into lots of areas of “making money online” I’m even planning to go into FBA after his (i should say “their” –> Perrin) posts and podcast on it, but to emphasize the long tail possibilities, i too have a few sites making a few hundred dollars each /each month. all freshly build after the PBN update ( my sites were crushed too) and the sites were built following Spencers and Perrins advice. 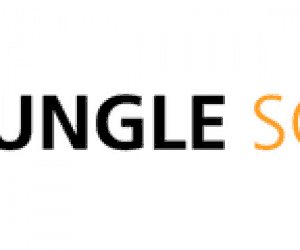 – they have about 40 posts each targeting long tail keywords and get a few hundred visitors a day spread out over lets say 30 posts ( with 7 or 8 bigger winners) and then 10 posts that doesnt seem to get a lot of traffic. – they make like $600 each per month monetized with Amazon associates. – Build around 30 backlinks per site (outreach,guestposting,infographics and a few forum/directories. I’d say,…. it works, I have no doubt that the course will be valuable to anyone building websites. Thanks Higgins…these methods definitely work. I believe those are not adsense sites and I would not advice someone to build MFA sites. For me, I would rather have a visitor that would give me a potential affiliate sale than having them click away for few measly cents. Check my response below to Peter – my site is a mix of Adsense and affiliate income. Also our home page just shows our latest posts. Almost all traffic comes into a specific blog post that we ranked for in the search engines – not our home page. Mine’s a mix as well, but the majority comes from Amazon Associates. Sorry in advance for a possibly ‘dumb’ question. I operate a couple of different sites in the travel & tourism space and recently bought Long Tail Pro which I am enjoying ‘playing with’! When you say you make X amount per month from a given site is that based on generating advertising revenue? Look forward to hearing from you. Great article.. I have a question…. Is it best to target just one long tail keyword per post? Or, can you target more than one..? I am assuming that it would only be one as it would be difficult to add more than one in the meta data and url…… right? I would advise you target only one keyword but also include some related keywords in the article. Just write naturally and the rest will take care of itself. Excellent resources and motivation for those us chasing the long tail dream. How are the sites making a majority of their revenue? Affiliate? Adsense? I can’t speak for all but ours is about 75% affiliate and 25% Adsense right now. In addition, one of the sites is monetized with Kindle ebooks (authority site); and Long Tail Pro is well monetized by selling software. I use the same strategy here on Nichepursuits.com if you want another example :). When you create an article about x subject, do you use variation of similiar longtail for that one article or only one long tail per art? The title includes the keyword I’m targeting. If you write naturally, other variations will be written…well…naturally. You can strategically use other variations on purpose, but there is no need to overthink or go overboard. You’re definitely a source of inspiration. 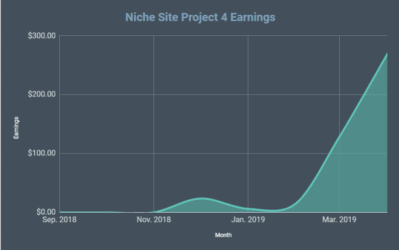 As I told via email, I’m following your Niche Site Project 2 steps while I build a niche site from scratch and publicly documenting everything on my blog. There’s a reason why I am doing it. To test if your methods still work in 2015 and the fact is that they DO! I’ve applied the low tail keyword tactic to some of my sites and am already seeing the results. I’ll apply this tactic (I like to call it low-hanging fruit keywords) to my niche site during the Public Niche Site Project 2015 and see how it goes. Awesome…thanks for sharing Louie…good luck! Title is great. Just checked the post title and clicked on it. Anyway, this is a truly inspirational post. LTP is a great software. I have been using it and getting result continuously. Thank you for making all those hectic jobs so easy. Thank you for the post. It has only helped me build my resolve further. I will be laid off from my job 4 weeks from now, and I am looking to diving full time into this (so far, have only been doing this part time). Sorry to hear about the layoff. Good luck in your future endeavors. (Consider doing some freelance work to bring in steady income while you build up your more “passive” websites). hi there thanks for sharing the info. just got a question as beginner do we target niche that is marketable or the niche that we have passion about. Thanks for sharing the success of long tails Spencer. Back then I was one of the marketers who are just building sites and backlinking the heck out of them. I was burned by the penguin update. I know that crash and burn strategy still works but I also know that targeting long tails is a better more long term strategy. Just want to ask, what’s the average number of words you write per article? I write around 1,000 words for a review article and around 700 words for informational type keywords. It really depends on the keyword. Average is perhaps 1500 word articles for standard product review type stuff. Basic informational/or news posts could be 500 to 700 words. And then sometimes we do more “epic” posts or “pillar” content that could be 3000 words plus. Got it Spencer. Thanks for sharing your word counts. Haha…sorry to let the cat out of the bag! Good luck in everything man! Excellent article as always! I started to apply this strategy when you mentioned it on podcast 71 and I’ve found some golden keywords that I’m pretty sure will be easier to rank instead of looking at the 1,500+ monthly searches keywords that everyone is targeting. If someone chooses a good market or niche that has some related products and also a good CPC is easier to find lots of those great low volume keywords to create some articles and start generating some income that can be reinvested in creating more content or even start thinking in developing some info products like the ebooks that Spencer created for one of his authority websites. By the way, I really enjoyed Long Tail University, the content you provide is top notch! I like a lot the part where Perrin teaches how to create great content with the keywords you find. I look forward to know more about the deal you did with your authority website. Congratulations! Thanks for the kind words Cesar…! So glad that you really enjoyed the content in Long Tail university! Thanks for the tips on the amount of searches from longtail keywords. I had no idea. I will definitely start looking for longtail keywords with less than 100 searches, I am sure there are tons of those keywords. Yep, there are indeed TONS of those types of keywords. Great post as always. I have been following Niche Pursuits for a while now. I just wanted to thank you for the information you provide and Long Tail Pro. Both are amazing resources and have made my sites what they are. A little less than two years ago I was laid off from my 4th employer in 6 years and I was at my wits end. I wanted to do something myself and I ended up building a really terrible website based around a product that I crafted myself. The product didn’t sell well and I threw up some AdSense ads and boom, I made 12 bucks that month. I figured if I could make 12 dollars I could make more. This is when I found you and I started learning everything I could about site building, SEO, etc. After 18 months I am making about $3,000 dollars a month from my sites and it grows every month by about 20%. My background was in manufacturing, welding and truck driving. I even worked on oil rigs for a time. I had about zero knowledge of websites or that affiliate links even existed. If I can do it anyone can! My next goal is 10k a month! You and LTP have changed my life for the better and I can’t thank you enough for that. Wow, awesome success story! Glad to hear that NichePursuits and Long Tail Pro have helped you out so much. Great job on your site! Comments like this really do mean alot, thank you. Thanks for the information. Your articles seem to be covering the information I need right when I need it. I have a few sites and one is doing really well and am considering selling. Do you have any articles that I may have missed covering this topic (if not I know you mentioned that you may be writing one in the future)? Or could you point me in the right direction for more info? I would appreciate it. I did write some articles on websites I’ve bought and sold here: https://www.nichepursuits.com/projects/buying-and-selling-websites/ . EmpireFlippers.com is a good resource to sell your sites as well. Cool! I’m using long tail keywords too and it works. For contents, we should never ignore the value of course, not just keywords, keywords, keywords. Quality is still imperative. Thanks for sharing your insights. Congrats on your new course launch, I’m sure it will be a huge success. There are lots of benefits of using Long Tail Keywords but, most people usually find it very hard to dig up these kind of keywords. What is the name of the WP theme used in apennyshaved.com? I like the store section. It looks and feels like an extension or subsection of amazon. Thus, one would trust to buy that way. currently, I also develop my own authority blog by focusing in long tail keywords. I am regular reader for your blog and followed your tips and NPS. Your post and tips are awesome and keep up the good work to post more awesome stuffs. Really refreshing to read something that confirms that not everyone who has an online presence requires thousands of hits per day. This seems to be the thinking and realm of the MMO niche more than anything else but not for a local business that serves a local community. We do still exist and can survive quite happily on ‘low’ hits. As well as currently creating a blog that serves my passions, I already have an established offline business with a small website that serves my local region. I basically trade my time for money within that business and using your example of 70 hits per day would keep me in work and very busy for about 400 years. Good enough for me. I think far too many marketers become consumed with grand numbers and statistics rather than focussing their marketing on the right audience. 100,000 visitor’s means absolutely nothing if they ain’t buying and they ain’t buying because they ain’t the right audience. Your marketing for numbers rather than sales! That is bad business. LongTail keywords are much more than ‘low competition’. They are usually ‘buying’ keywords too. They have intention and something that should be given far more consideration. Awesome thoughts Jonah! I totally agree. The numbers don’t matter unless you have buyers. Very interesting Spencer. My friend who’s an SEO expert have put me on to you few months back. And since then, I’ve been trying my best to keep up with everything you’ve been sharing. There’s no other site like nichepursuits. Keep up the great work! We have not formerly met, but I have been following you for a while and working with Jake on the blog also. You guys are doing amazing things! It is also great to see the product offering expand and the business with it. This is a strategy I want to follow with my own site. I love the long tail concept and have also been applying that on my site, which has some authority, but is in a competitive space – marketing, where all the players generally know what they are doing. Thanks Ashley! We appreciate the help with the Long Tail Pro blog. I agree that even for authoritative sites, the long tail strategy is quite useful. Haven’t been here in a while but like how you still keep the blog very simplistic. Everytime I hear about LTP I think how smart of a move you made creating that software. Wouldn’t be surprised if you were pulling mid five figures per month from it. Thanks for bringing to notice that site targeted for less than 100 searches per months can also be successful. I shall surely work on few keywords with less than 100 monthly searches. Hi, does longtailuniversity include longtailpro software in the package? No, they are separate. LTP is not required for LTU. Hi Spencer, love the article. Specially the site that doesn’t have any link building but still ranks for long tail keywords. What I like about that strategy is that works for long term, it doesn’t matter if you decrease in rank for a keyword since you are targeting lots of them. Thank you Spencer for sharing such inspirational content. The figures per month are realistic and achievable when compared to most lame claims of making 6 figures when in reality there is nothing to show. With LTP l can cherry pick long tail keywords and easily estimate my ranking with some degree of accuracy. I also follow the rankings using LTP. l am however torn between creating ONE authority site (What if it fails?) or TEN niche sites earning at least $100 per month. I really enjoyed this months update and podcast, but it led me to two questions. The first is can we get an idea of how many hours Perrin and Jake spend building their respective sites? Did they invest 50 hours, 100 hours or closer to the neighborhood of 500 hours to get their site to that level. Second, there seems to be a lot of growth from June to September in both Jake and Perrin’s site. Did they begin doing something different at that time or just increase the amount of material published to their site. Awesome write up and thank you very much for sharing the great insight. I had almost missed this part. Thanks to you, I need to start creating content now. Your blog is awesome. Can you tell me more detail at website number 2 ( Niche Site Without Link Building – Making $300 Per Month ). How many post do you have and how many word each post ? That site has around 70 posts or so; articles range from 750 words to 2500 words. Most are 1500 or so. Hello to all good people here, especially Mr. Spencer, Jake and Perrin. First of all congratulations on your success, and a great ” thank you ” for your awesome tips. I have a question to ask. I’ve just started working on my first website that I’m willing to monetize with Adsense and Amazon product. It has to do with the beauty and health niche. Given that I want to write some reviews about medical and health products, how can I make sure that my content complies with the FTC rules guidances? I don’t want to end up in jail because of a bad review. Shall I step away from medical products? I’ve already written 10 pillar articles (about 2500 words each). What would you advise me to do ? I ‘ve read many of your bestsurvivalknife reviews and know how and what to write, however, I think that my content should be a bit different and more “careful”. There are plugins that create a disclosure page, and an info page that states that I’m not an expert, neither providing medical advice. Would it suffice? Should I ignore FTC guidance completely? Really looking forward to hearing from you. Thanks again for the help guys! Thanks George. You should absolutely follow any FTC guidance. If they require a disclosure page as you stated, then definitely do it. I would be as careful as possible when reviewing medical products. Even though I am starting to switch gears from Niche sites toward Software, being able to research and find good long tail keywords is still very important. These tips are still relevant, in any online business, not just niche sites. I still need a site to sell my software on, which includes a blog for organic traffic. Much like what you are doing with the blog for LongTailPro. Funny, I was just using LongTailPro today trying to find “diamonds in the rough” for new blog articles. 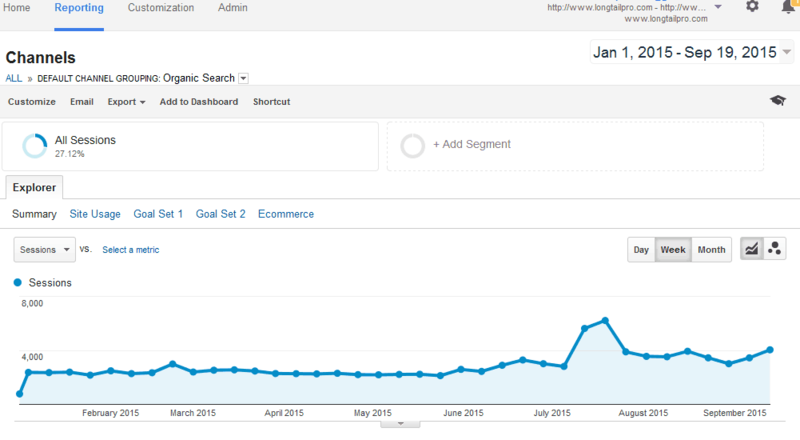 I never thought that 70 searches per month can give so much traffic. It is really eye opener and inspiring. Thank you Spencer. I have a question, I started a niche site 2-3 months ago, I published 4-5 quality articles on it. Then I left it abandoned. 2-3 months passed, I never posted another article. Now, I want to continue it again but I never got more than 15 visitors a day. Can I get traffic on this site or I should work on a new niche site(may be on the same niche)? Yes, you can still get traffic to the site. (Assuming you didn’t build links that got it penalized). Spencer…I am going to build an authority site…Is there a WP theme you recommend? What did Perrin use? 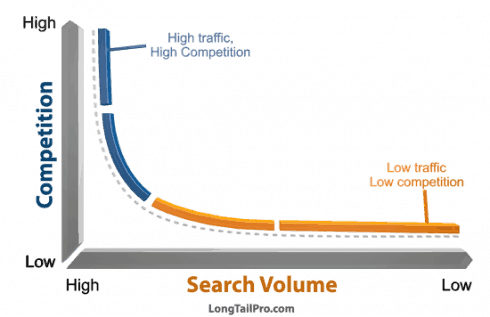 I targeted long tail keywords with volume ~350 search/month. It really worked. Now I rank top 8 and top 5 only On-page and without any backlink. thank you for your sharing. as I know, Punishment “Thin Content” of google is the nightmare for us. Many sites on top were lost rank. I think Google hate site affiliate. Could you give me some advice to this point? do all your articles have affiliate link? That’s great! Not all articles have affiliate links, some are just informational articles. I was wondering if you cloak links or use pretty links lite for affiliate links? I was reading something recently that eluded to using those not being a good thing as sometimes the link gets indexed, but I could not find more information on if that was true or not. Not sure if that was something I should be concerned about. No cloaking. 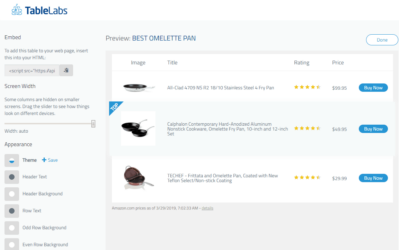 URL shortener/Easy Azon plugin…yes. I’m interested in your website story no 2. I think it would be interesting if you can share your writing formula. I always think that, in increasing rank niche site plays an important role in long tail keywords. I got the proof. Anyway, thanks for writing about it. I know you kind of covered a bit of this in the beginning of Niche Site Project 2 but since it’s been a while, what is your opinion on picking a very competitive niche and keyword (like “laptops” or “fashion”) and driving traffic mostly by utilizing Long Tail Keywords? i.e. Not just using them in a supporting role. I remember reading somewhere on your blog that Perrin loves to pick out and target keywords that are seemingly low potential but convert well, but I couldn’t tell whether he was referring to long tail keywords or the primary keyword. In NSP2 he picked a pretty competitive keyword for the home page, but I’m talking about extremely competitive. 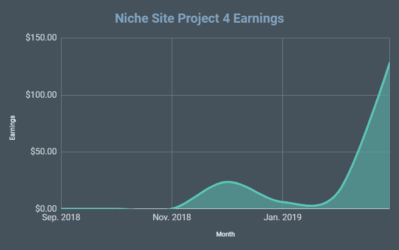 I’m still working on my first niche site but as far as I can tell, it really shouldn’t matter much if the articles themselves are targeting long tail keywords and bringing in heaps of traffic. And picking a massive niche would allow me to write tons of useful content. I figured there must be a reason I haven’t read about anyone doing this so far so hoping you could shed some light on it. Thanks! You can certainly pick a larger niche like laptops or whatever; but the actual content you write should all target low competition keywords. In NSP2, Perrin’s niche was “shaving”. But most of his articles targeted very low competition keywords like “best safety razor”, etc.